Galaxy S8 preorders have begun arriving at doorsteps, and some websites seem to be enamored by Samsung's latest visual revamp of TouchWiz — but don't buy the hype, it's a trap! From TouchWiz to Grace UX to Samsung Experience, no matter what the name is, it's still the same old clunky framework everyone has hated from the start. Samsung may have put a fancy little bow on it, but TouchWiz is still a resource-hogging behemoth underneath its shiny new theme. I'll give it to Samsung, they did a fantastic job making TouchWiz look better, but we're already seeing evidence that its notoriously poor performance hasn't been improved. It's not much of a surprise, though, as every Samsung device to date has had countless reports of lagging, stuttering, and freezing. 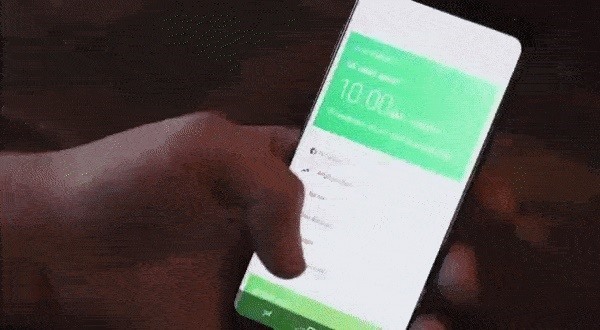 Users on XDA and Reddit have never stopped complaining about TouchWiz performance issues over the years, and it's looking like the Galaxy S8 and S8+ won't be exceptions to this rule. Maybe I'm just a TouchWiz hater, so don't take my word for it. 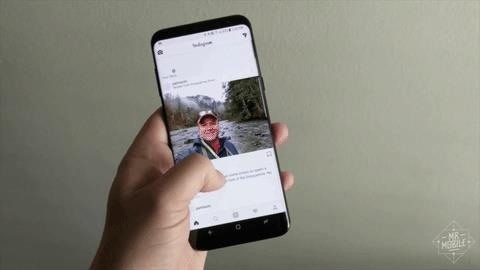 Seeing is believing, so just as an example, here are a couple of GIFs of Samsung's latest flagship, the Galaxy S8, in action. How about that, Samsung's own Hello Bixby is lagging and freezing at the same damn time. Come on Samsung, it's about time you caught up to everyone else and fixed the buggy software issues. Why don't you take a cue from HTC, with their fantastic hardware mixed with practically stock AOSP, which gives you a phone that has single handedly kept the company's mobile division afloat. Samsung users know exactly how terrible an experience can get with TouchWiz, but reviewers need to start calling Samsung on its performance issues. Watch any YouTube video reviewing the Galaxy S8 and claiming it's a fantastic device — I bet you'll see their brand new device lag or stutter like in the above GIFs at some point. Just wait for the device to reach the hands of the public, the complaints will come flying in by the hundreds. Perhaps if reviewers were more thorough in their reviews instead of just saying the phone is amazing (as they do almost every single year), potential buyers would have a decent forewarning. Then, instead of buying the device only to get hit with the lag after a couple of weeks of use, they could simply avoid it altogether and spend their money on a better device. Even better, maybe Samsung would respond by finally cleaning up TouchWiz bloat. The shame of it all, at least in my opinion, is that Samsung makes some of the best hardware on the market. If they could actually get their software under control instead of relying on fanboy reviewers to tell us it's all roses when it's not, they'd have the best phone on the market. Imagine how awesome a Galaxy S device would be if it ran as smoothly as a OnePlus 3T or a Pixel — now that would be a killer phone. What are your opinions on TouchWiz? Are the added features worth the dip in performance, smoothness, and battery life? Share your thoughts on the Samsung Galaxy S8 and S8+ in the comment section below!